If you are familiar with Photoshop you may all ready know the basic functions of the tool palette items and some of the other commands. 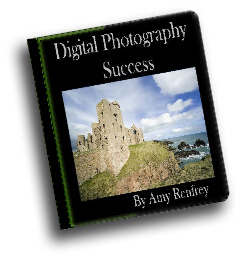 If you are just beginning to use the software package and want to use it simply to clean up or lightly alter your own photographs there are a few basic functions that you should take the time to learn and explore. Even a severely underexposed photograph can be salvaged when it is adjusted in the Photoshop program. Most cameras are set to record their photographs in the JPG format, but if you don’t mind a bit of a longer wait between photographs, setting the record format in or RAW will allow complete control of your photographic final results. Photoshop software really loves to work with RAW images as opposed to the JPG and this is the main reason to save them in that format. 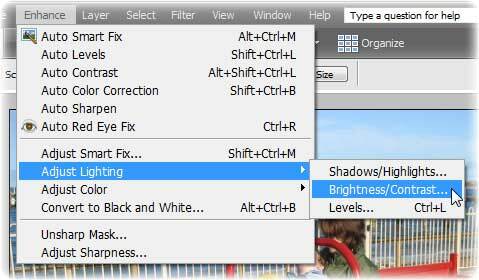 If your image is underexposed simply open it in your Photoshop software, from the menu tab select Image, then Adjust, and finally Brightness/Contrast where a slider feature will allow you to manually adjust the images. Unfortunately this may affect the overall quality of the image, but the contrast feature can then be adjusted to compensate. This is modified in the same manner as the brightness. 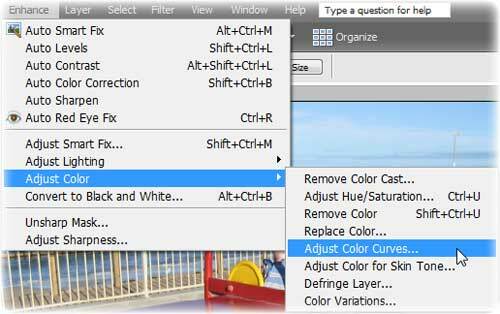 Photoshop also allows a photographer to access and adjust midtone variations of color. Because the files are saved in RGB formats and adjustment to midtones is available in those ranges as well as in a lighten or darken mode. Though Photoshop does allow a photo to be changed from color to black and white by utilizing the Image/Mode/Grayscale command sequence the end result is usually a flat image where white and gray objects are the same shade. A much better result can be had by using the Channel Mixer. Simply open the Layers window, and then select the Channel Mixer. This feature allows the user to apply various filters to impact red, blue and green colorations in the image. For example adding a blue filter to a bright outdoor scene makes the blue sky even brighter. Each image is different, but using the Channel Mixer to create a black and white picture will allow contrast and depth to remain in the image where a grayscale conversion would remove it completely.